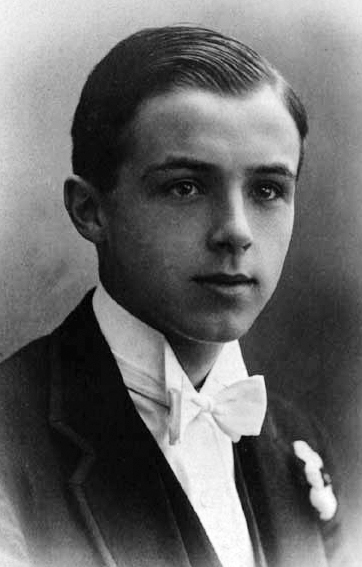 Michael Llewelyn Davies was the forth of the five sons of Arthur and Sylvia Llewelyn Davies. He is widely reported to be the individual who most influenced J. M. Barrie in the creation of Peter Pan. He drowned in suspicious circumstances with a close friend just short of his 21st birthday. J. M. Barrie became guardian of the Llewelyn Davies boys following the death of their father in 1907 and their mother in 1910. Michael attended Christ Church, Oxford, where he became very close to Rupert Buxton. Shortly before Davies' 21st birthday, he and Buxton drowned together in Sandford Pool on the River Thames. 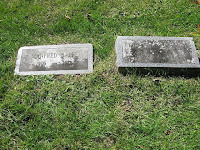 The closeness of Davies and Buxton, combined with the uncertain circumstances of their death, led to speculation that the pair had died in a suicide pact. The Sandford Pool was well known as a drowning hazard and the pair had gone swimming there before. A witness at the coroner's inquest reported that one man was swimming to join the other, who was sitting on a stone on the weir, but he experienced "difficulties" and the other dived in to reach him. However, the witness also reported that when he saw their heads together in the water they did not appear to be struggling. Their bodies were recovered "clasped" together the next day. The coroner's conclusion was that Davies had drowned accidentally, and that Buxton had drowned trying to save him. Davies' brothers Peter and Nico each later acknowledged suicide as a likely explanation, as did J. M. Barrie. Perhaps the mantle of Peter Pan proved too much to live up to. They sacrificed a real boy, to give a dream wings. Ellery Queen is both a fictional character and a pseudonym used by two American cousins from Brooklyn, New York — Daniel Nathan, alias Frederic Dannay and Manford Lepofsky, alias Manfred Bennington Lee. The fictional Ellery Queen created by Dannay and Lee is a mystery writer and amateur detective who helps his father, a New York City police inspector, solve baffling murders. During the 1930s and much of the 1940s, the detective-hero was possibly the best known American fictional detective. Movies, radio shows, and television shows were based on Dannay and Lee's works. American novelist, essayist and journalist whose novel The Naked and the Dead was published in 1948 and is based on his military service in World War II. His best-known work was widely considered to be The Executioner's Song (1979), which was published in 1979, and for which he won one of his two Pulitzer Prizes. In addition to the Pulitzer Prize for General Nonfiction, his book Armies of the Night received the National Book Award. Along with Truman Capote, Joan Didion, Hunter S. Thompson and Tom Wolfe, Mailer is considered an innovator of creative nonfiction, a genre sometimes called New Journalism, which uses the style and devices of literary fiction in fact-based journalism.